A few years ago, I picked up a clear glass lamp at Homegoods for our living room. The lamp has a removable top, allowing you to fill it with whatever you want -- so I've had a lot of fun over the years placing different items and fillers inside the lamp (here's a photo of it filled it with pinecones during the holidays). Lately, I've really been into the look of porcelain lamps in different hues, so I decided to try my hand at creating my own DIY version. 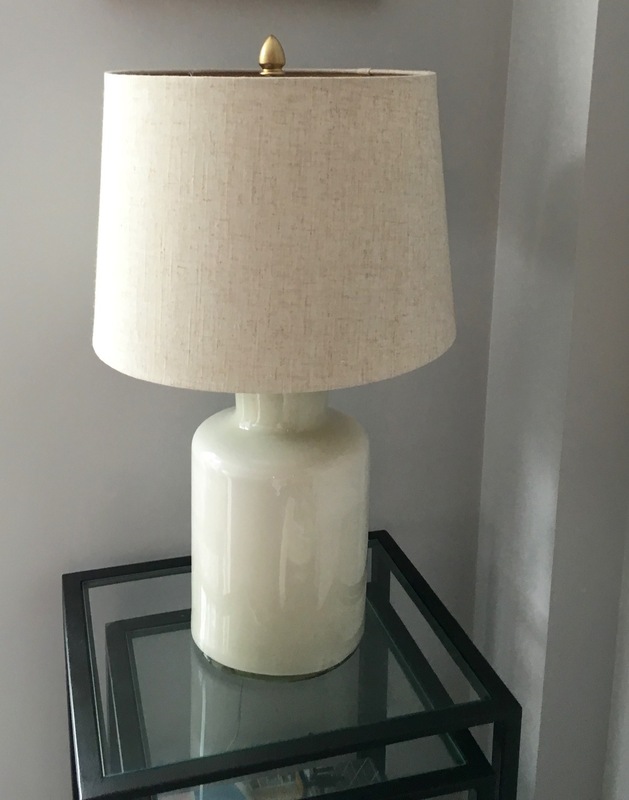 Check out my latest post on Hoboken Girl to see how I transformed this cheap glass lamp into something that looks like it came from an upscale boutique. (And if you can't wait to click through, see below for "before" and "after" photos). I'm really happy with how it turned out. Hope everyone has a happy Memorial Day weekend!! Here's what the lamp used to look like.